There are always one or two pieces of clothing that you bought not long ago but is already covered with lint and pills. Making it look older, shabbier than what it really is. A great little device is this portable electric lint remover. By removing the lint you can bring back life to your clothes and even furniture. It's easy to use, all you have to do is simply turn it on and run the perforated head over the surface of clothing you wish to shave. The fuzz, lint and pills will be suctioned into the holes, cut off by the rotating blade and then deposited into the little lint chamber. Take the chamber off and empty the lint when it's full –it's that simple and useful. The Lint remover uses 2 AA batteries, so it's not hard to find batteries when you need a recharge. The bit of toothpaste left in the tube that you always can't seem to squeeze out. We tend to throw it out in the end but with toothpaste tube winders you will never have to waste a single drop of toothpaste anymore. All you have to do is clip the plastic tube winder at the back of the toothpaste and wind away so that it pushes the toothpaste from the back to the very front. Not all ordinary soaps can get rid of the tough odours from hands. Tough odours, smells like onion, garlic, fish, fresh meat and other peculiar smells. With stainless steel soaps, you won't need any detergent at all. It's environmentally friendly and safe to use on the body. You might wonder how stainless steel soap works and does it really work? Well the mechanisms behind this special soap are that negative ions are produced through the friction of hands and the soap while washing. The combination of these negative ions with molecules of the smells (positive ions) will stick tightly together like a magnet. The smells are then washed off through the running water. All you have to do is rub your smelly hands and the stainless steel soap together under running water for about 30 seconds, exactly the same as using regular soap. But tough odours are instantly removed. Have you wondered why the drain in your bath tub or shower doesn't drain properly? Well, you might have a major issue there –it's probably filled with gunk and hair from months and years of washing. To prevent this from happening, the silicone hair catchers are a nifty tool to help catch those loose hairs and stop it from clogging up the drain. You can use it in the bathroom, kitchen, laundry anywhere to trap waste. It is made of quality silicone and heat resistant up to 200°C. Make-up brushes and sponges harbour plenty of bacteria from make-up residue, skin oils, dust and oxidised colours. Just imagine all that bacteria in those bristles that you use to apply make-up on to your face! It is a good habit to deep clean your brushes at least once a week. However wakeup doesn't come off easy just through running it under the tap. The detergent from Daiso is exceptionally useful to transform your brushes from dirty to spotless in minutes. Instructions are easy, apply an appropriate amount onto your brush and use your hands to massage through the brush. Run it under water until all the dirt has been removed and you're done! I use the product regularly to clean my brushes and it has proven to live up to standards. Smelly bathrooms? cupboards or cars? Check out the range of deodorisers that will leave the room smelling refreshed and fragrant. There is a large variety at Daiso whether it is for cars, refrigerator, toilets, bathrooms or anywhere in the house. There is bound to be one suited to your needs. I particularly like this deodoriser with its large beads. All you have to do is take the lid off and remove the foil, place it in the room you like and let the smells go free! The beads will dissipate after about 2 to 3 months depending on room temperature and leave your room fragrant. There are a range of scents to choose from including lavender, rose, green apple, citrus and more. Not to mention the colourful and attractive beads that will also ornate your room. Pet hairs can be very frustrating. You want to wear a coat but find that it's filled with hairs from your pet. With the adhesive tape cleaner you can quickly remove hairs from your carpets, sheets, furniture, clothes and car seats while not leaving any damage to the surface of your item. The adhesive tape cleaners come with an easy grip handle and convenient case to put your roller back in when you're done. The tape is replaceable and the original comes with the roller and a 40 sheet roll of tape. There is an 80mm miniature version and a 160mm larger version to suit your needs. Melamine foam is a material consisting of a formaldehyde-melamine-sodium bisulfite copolymer. In other words it's a foam that works miracles for cleaning without using any detergents. Its physical mechanisms make it easy to remove stubborn dirt with just water, making it cost-effective and eco-friendly. What makes it so great is you can cut it into any form or shape to suit your needs. You might be a bit sceptical but it's real and cleans all surfaces-steel, wall, ceramics, leather, plastics and more, removing the toughest of dirt. All you have to do is soak the sponge in water, squeeze excess moisture and gently rub the sponge over dirt. Rub a little harder for tougher stains and rinse the sponge between uses. Just as the name suggests, the anti-slip sheets for cars are very convenient when you want somewhere to place your mobile, sunglasses, coins or bits and pieces. There are no sticky tapes or glue to keep it from moving around so it won't leave any marks on the surface. However it works as if you had squeezed glue onto your phone and keeps it from slipping or moving around. Last but not least –the illuminated ear pick. Instead of shoving cotton buds in your ear why not consider using the illuminated ear pick? Of course you'd need someone to help out but it's great to use for people of all ages. The LED light at the tip illuminates deep into the ears for you to remove all the bits and pieces down there! Easy to use with a built in LED light, all you have to do is slide the switch and use it like any other normal ear pick (but with a bonus). To take care of your illuminated ear pick, wipe it with a soft, dry cloth but do not soak in detergent or water. The pick includes batteries but if you need a refill find the LR41 batteries available in-store too. 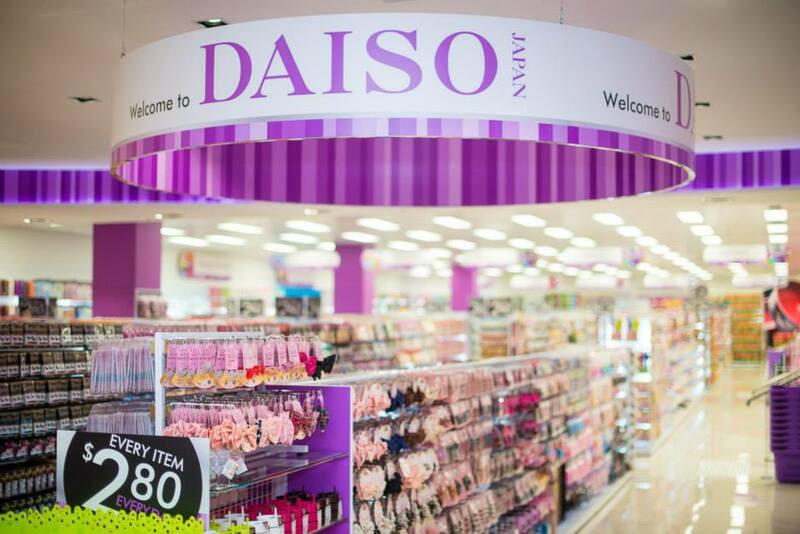 Now that you have an idea about the amazing items from Daiso. There are plenty more interesting, useful and peculiar items waiting for you to discover. If you're into snacks and foods you can also check out this list of 10 Must-try Daiso Snacks & Drinks. And don't forget -everything is $2.80! Is the steel soap something that can be used instead of normal soap or to be used as well as? Please DO NOT put the ear pick into anyone's ears; you are risking permanent, irreparable damage to the person's hearing.